About $20 billion worth of energy leaks out of windows in the United States each winter—and that's with double-paned insulating windows installed on a majority of buildings. The Department of Energy's Lawrence Berkeley National Laboratory (Berkeley Lab) is now working with manufacturers to bring to market a "super window" that is at least twice as insulating as 99 percent of the windows for sale today and will be ready to achieve mass-market status. The "thin triple" super window design doubles the thermal performance of current Energy Star-rated double-glazed windows and is seven times more insulating than a single-glazed window. 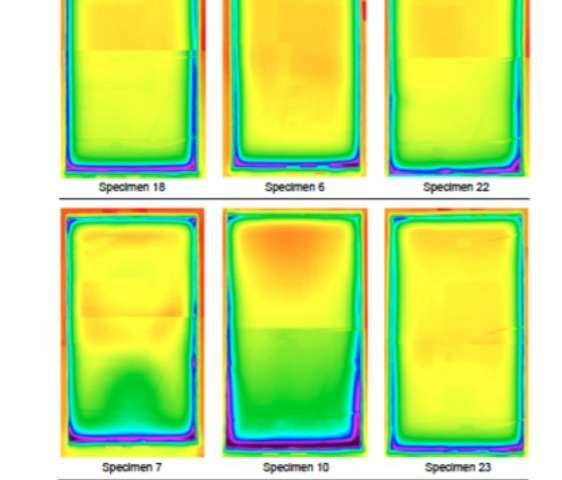 Berkeley Lab scientists have built and tested prototypes in the lab and are now working with Andersen Corporation, the largest window and door manufacturer in the country, and separately with Alpen High Performance Products, which specializes in energy-efficient doors and windows. Both efforts are looking to build and test enhanced prototypes suitable for large-scale manufacture. "Our approach is to attack the problem from two sides: to develop both 'market pull' and 'technology push' forces," said Berkeley Lab researcher Steve Selkowitz, one of the inventors of the super window concept. "We are working with manufacturers to assist them with their technology challenges while also working with Energy Star, supply-chain companies, and utilities, which can offer rebates and incentives for consumer purchase. Our role is to be a catalyst in facilitating technological innovation and an evangelist in promoting DOE's energy-efficiency mission." Berkeley Lab has a long history of innovation in green building technologies; for example, it recently demonstrated the use of controlled lighting and shading to save energy and is working to make net-zero energy homes a reality. Its work on high-performance windows dates back to the late 1970s when the oil crisis catalyzed new ways to save energy. Berkeley Lab researchers at the time provided the technical support for a brand-new product—a low-emissivity (or low-e) window coating that helps to block long-wave infrared rays—to reach mass-market status. Low-e coatings have gone on to save the country billions of dollars in energy costs. For years, the ultimate dream for Berkeley Lab researchers was to get to the point where windows could outperform insulated walls in winter. With their thin triple super window, they believe that goal may now be within reach. "A single layer of glass has an R-value, which is its resistance to heat conduction, of R1; double glazing is R2, and the low-e double is R4," said researcher Charlie Curcija. "Our thin triple glazing is R8 to R10, or about twice as good as the best low-e double glazing today." "The thin glass is 0.7 mm thick," Curcija said. "Twenty years ago we couldn't find any companies that could make thin glass sheets in volume. Now the flat screen TV industry has pushed the glass industry to create precisely the glass we need for windows, and at a price the window market can afford." Katherine Graham, Andersen's Glass Competency Team Leader, said: "Andersen Corporation worked together with Berkeley Lab in the 1980s to advance low-e technology, and our team is excited about the opportunity to collaborate again with Berkeley Lab to explore whether this super window prototype can become a market-viable product that we can offer to our customer base." While the main focus of the super window is to save on winter heating costs, the low-e coating can be tuned to make it more useful for summer cooling purposes. "For northern climates you want the coating to be as transparent as possible," said researcher Robert Hart. "For the same window in Phoenix, you want a spectrally selective coating that keeps out the heat from sunlight, but that you're still able to see through. Berkeley Lab manages a global database of 5,000 glazings and coatings on the market today; one of our tasks for DOE is to come up with the optimal selection for a super window in each climate." The super window is different from "smart windows," such as electrochromic windows, which automatically tint in response to sunlight in order to prevent building interiors from overheating and thus reduce cooling costs. Berkeley Lab has also made advances on this technology, including a nanocrystal material that can dynamically manage sunlight intensity as it passes through a window, an innovation now being developed by a startup, Heliotrope. Now Berkeley Lab researchers are hoping to replicate or even outstrip that impact. "We helped create a multibillion-dollar per year market in high-performance windows with huge energy savings," Selkowitz said. "Now we hope to make another leap in window efficiency and extend our past success."